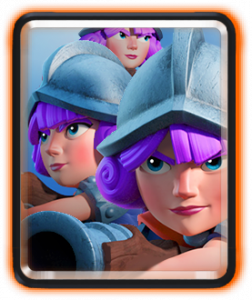 My favorite card Bandit got a weird balance that fixed many of her bugs and she is even easier and smoother to use, with Dark Prince’s buff we get to replace old Ram, making a new deck and today I will be explaining how to use it. 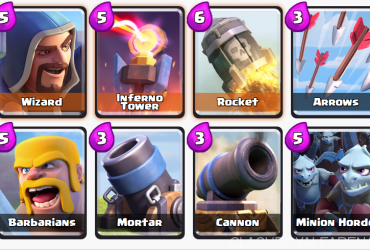 Cards: 3M, Elixir Pump, Ice Spirit, Minions, Dark Prince, Bandit, Ice Golem and Zap. Offense: 4, Defense: 4, Synergies: 3, Easy to Use: 3, Counters: 4. Dark Prince: Dark Prince’s buff has gained him tons of play with that new health helping him land extra splashy strikes before he’s killed. Dark Prince trades Ram’s for offensive “target buildings” for also defending, making our cycling even easier as we don’t have one card in our deck that we can’t cycle in a counter attack format. Dark Prince should be played in the lane where there is only one Muskee with an ice spirit, then spamming other cheap cards with it (except ice golems). he is an easy defensive against Glass cannons and many other mini tanks. A mini-push with Dark Prince and a support card could bait out a fireball, making our Pump and 3M’s positions more expansive. Bandit: before I explain how she is used you need to know that the Bandit Balance is not a nerf nor a buff, I found it confusing but it made sense afterward, this balance made her dash even easier to use as the main problem with Bandit currently is people can’t use it properly, many people complain that they do put her 4 tiles or more away but she ends up walking to the target. It is now a bit easier since putting her at 4 tiles will make her dash since there is that little part where she walks and locks on to the target before dashing instead of the bug that cancels the insta-dash. 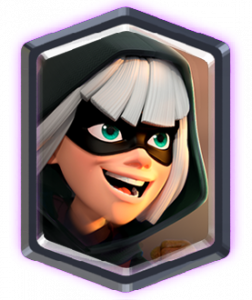 Bandit is a support card and an elixir trader, she could finish off many glass cannons that have higher elixir costs than her very quicker, finish off defensive building from the river and even after all of these small assassinations she manages to pull off a Dash on the enemy tower! Otherwise, use her at the constant cycle push in 2x elixir supporting either the DPrince+M lane or 2M lane depending on whichever one is more needy. I’ve always loved playing Bandit and already thought she was powerful, but now you all get to have a taste of her power! 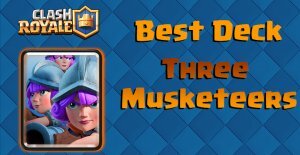 Three Musketeers: 3M, the all worthy skill card is our main win condition in the deck. 3M must be used in 2x Elixir and only and only and ONLY in x1 if we are really screwed up, against some sort of powerful aerial push of a very bad cycle. 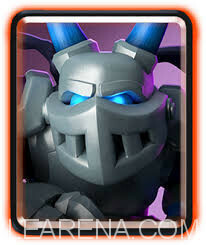 3M is to always be split at the front or back of the King Tower to do the double lane push, the lane with one Musketeer should be supported with Dark Prince and squishies whilst the double musketeers lane should be supported with Ice Golem or/and Bandit, and supposedly zap for squishies combined with the Ice Golem Death Damage which could get a level 13 Horde when combined. Ice Golem: A great Mini Tank and Cycle card for our deck making our lives easier in all aspects. We could use him for kiting ebarbs, princes and other cards DPrince and Bandit will have difficulties in a matchup without using too many squishies for defense and reserving them for a worthy counter attack. Zap: A pretty self-explanatory card, using it on squishies, combining it with Ice Spirit and Ice Golem for stronger squishies like normal goblins and minions and supposedly guards. 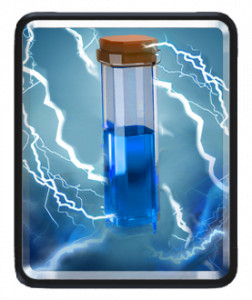 If we don’t need it on the opposing deck we could zap emptily and use it for cycling our way in 2x elixir for repeated spam. 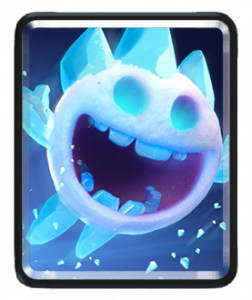 Ice Spirit: Great card for protecting the low health of the many cards as we shoot them like double muskees, bandit or a Dark prince without his shield. Of course putting it behind in fast-paced pushes is also very effective at stopping anything trying to stop our charge/dash. Minions: A more reliable chipper than bats since we don’t want them to be zapped (level 12 minions are immune to level 13 zap-one-shot unless the opponent is using a level 8 mirror and uses lvl 14 zap). 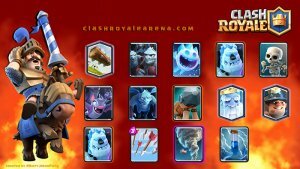 This makes it even more reliable against hog pushes since ice spirit does not one shot them and if they combine it with zap they will give more elixir than we did for a small hog push. Elixir Pump: Pump is the core for starting the 3M push and developing, in a cycle deck like this we could start 2x with 2-3 pumps, making us have an even bigger advantage than we already do with a x2 specified deck. Don’t place the pump behind the princess tower and at the front of the king tower because it will get the rocket and if you’re a newbie at 3M let’s say this, If they rocket the pump instead of the 2M coming down it’s actually worse. Keep the control, cycle defensive cards and do small mini-pushes if we have enough squishies or a well-healthed Bandit/Dark Prince for a counterattack. Do split 3M attacks consistently and stay offensive whatever the push they’re trying to make, the double lane attack could to powerful defense whilst getting us a tower, stay defensive if it is 1-0 and we’re winning. 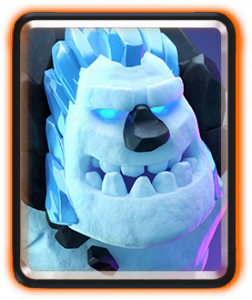 Hog Cycles: Use Minions combined with DPrince/Bandit to get the hog and waste zaps and ice spirits, we may gain a good elixir advantage that will crush them in x2 elixir. Other 3M Decks: Occupy their high damage dealers with mini-tanks and our slow, freeze and stun cards and let our 3M cut through. 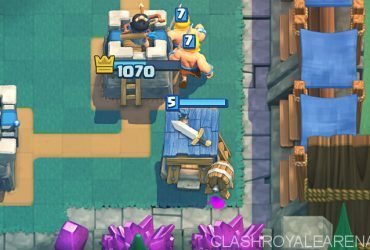 Dark Prince counters Ram+Gang or Miner easily. Chip Decks: Start Cards at the back often to create hesitation and try to cycle to Dark Prince and Zap as much as possible. We will get the advantage in x2 Elixir if you managed to stall. Goison: Quickly get the giant off and destroy all the support cards by wavering them around the poison’s radius so we gain more time and also chip them off, counter attack with remaining cards. E-Barbs: Kite them, Swarm Them, Bait them, Punish them and bam you have a huge counter attack that their heavy cards will instantly die to give us elixir trades with values like 3 elixir! 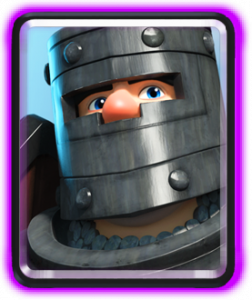 Royal Giant: We directly counter all edges of the classic types of the RG decks (Stop calling me robotic for this template xD). Aerial Decks (if there is any): We directly counter all edges of the classic types of the Lava decks. 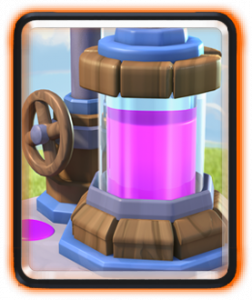 For balloon decks we may have to use 3M in x1 elixir in a bad scenario, but try keeping a pump going all the time especially for these. Golem Beatdown: Probably one of the hardest of the decks to beat, especially for me, we need to get the golem with the strong hitter and kite the supports, finishing them off with squishies, starting a counter attack may be hard to continue focusing on a double lane. 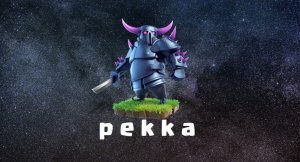 Pekka decks: Kite and Swarm, and then counter push in both lanes! Here is a link of the video where Surgical Goblin uses this deck in the Lunar Challenge and wins flawlessly!